Halloween can be a great time to enjoy candy, costumes and quality time with friends and family! Below is a list of 5 great ways to incorporate DIY and natural ways to celebrate Halloween! 1- Make your own costume. Your kids will have a ball designing and creating their own costumes. They will have a unique look and not match every kid who picked up a costume at the local Walmart. Imagine the pride on your child’s face as they strut down the street in a costume they made themselves. This is a great bonding project and helps kids express creativity! 2- Make your own candy. We all know that candy is one of the best parts of Halloween! Making your own only adds to the fun. There are plenty of great recipes that you can create. This is a great option for kids with food allergies or health issues because you can tailor make candy that avoids allergens and dietary triggers. 3- Make your own candy carrying bag. Plastic bags are terrible for the environment. You can create your own bag to collect those tasty treats. Many craft stores have premade kits or you can sew your own with your own designs! 4- Make your own decorations. There are hundreds of fun, DIY projects you can do to decorate your home for Halloween such as collecting leaves and ironing them into wax paper for a fun, fall display. Your kids will love seeing their artwork hanging around the house! 5- Make the most of your family time. Instead of driving to a destination to collect candy, take a walk to local, safe neighborhoods to trick or treat. Time with your kids is important. Whether you are creating your own costume, cooking some yummy treats or just enjoying the fun of Halloween, you are creating lasting memories! 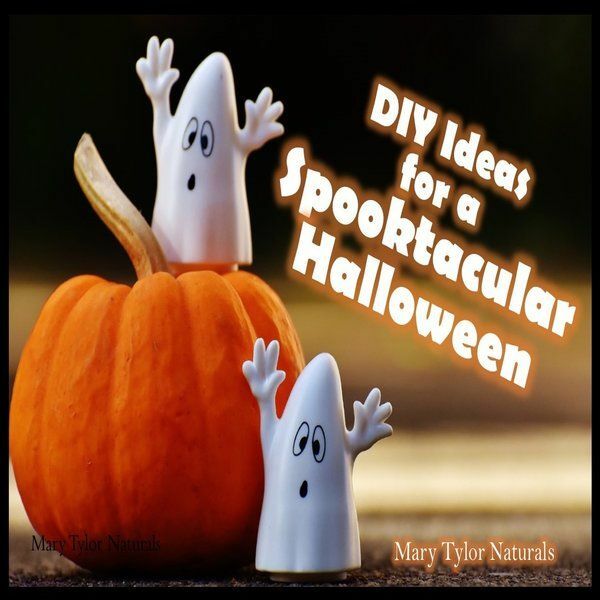 This Halloween, Mary Tylor Naturals encourages you to make the most out of this spooky season! For suggestions on great DIY recipes and crafts to do with your kids, please see the recipe section of our website!